Adaptive Learning is a method that uses computer-based lessons that can “adapt” to a learner’s needs. Self-guided lesson plans such as CPA Exam Review Courses could decrease the required amount of study time to complete reviews from such pedagogical methods. 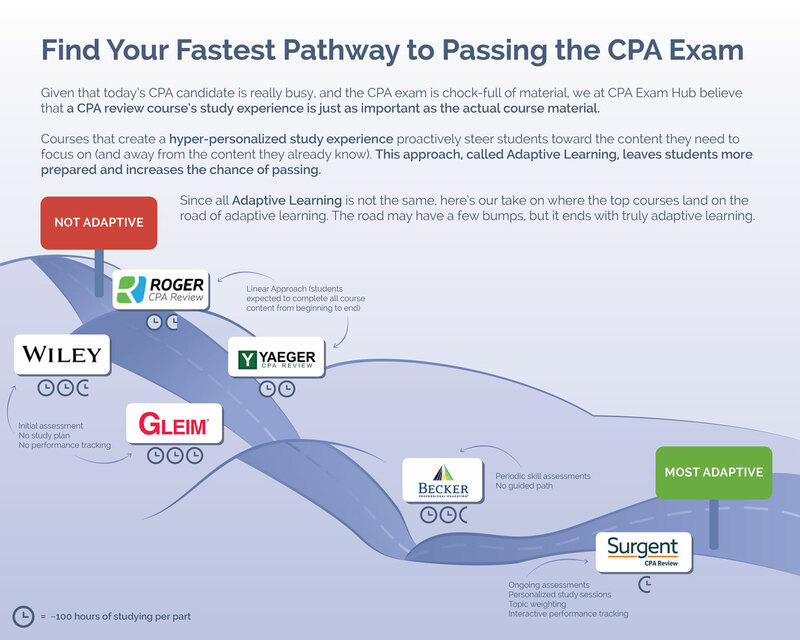 The infographic depicts how many study hours are needed to complete leading CPA exam reviews and how much they use the Adaptive Learning method.